The AVA Digital Awards is an international competition presented by the Association of Marketing and Communication Professionals (AMCP) that recognizes outstanding work by creative professionals involved in the concept, direction, design and production of media in the field of digital communication. This year’s competition saw approximately 2,500 entries from throughout the United States and 17 other countries. The entries are judged by industry professionals who look for companies and individuals whose talent exceeds a high standard of excellence and whose work serves as a benchmark for the industry. 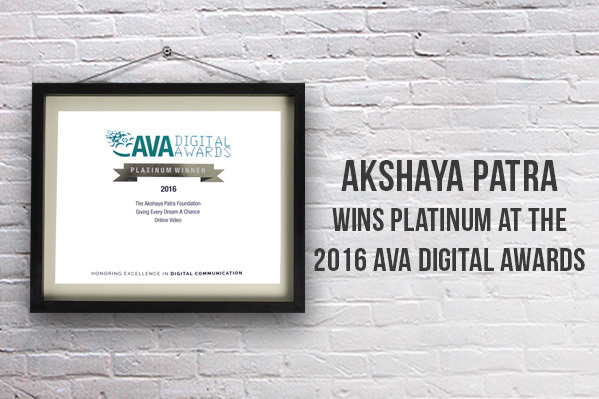 The AVA Digital’s Platinum Award is only presented to those entries that are judged to be among the most outstanding submissions in the competition. They are primarily recognized for their excellence in terms of quality, creativity and resourcefulness and only about 14 per cent of the total entries succeed to win this coveted award. The AVA Digital Awards has been intended to pay tribute to the history and journey of the audio-visual and web industries present worldwide.